Keep your Toyota a Toyota by having Genuine Toyota SightLine Wiper Blades installed. These premium wipers have been extensively tested and optimized for top-of-the-line performance. And they guarantee you the fit, function and quality of a Genuine Toyota Part. That’s why we are proud to offer Genuine Toyota SightLine Wiper Blades at Germain Toyota of Columbus. Keeping your vision of the road ahead is a vital aspect of safe driving. So it’s important to make sure your wiper blades are checked during regularly scheduled maintenance intervals, and the best practice is to have them changed at least once a year. Some things you can check for that will help you determine when your wiper blades need to be replaced are as follows: fray at the edges or fold underneath, chattering, smearing, squeaking and streaking. Any of these signs means it’s time for a replacement. When it the time comes to replace your wiper blades, the best choice is Genuine Toyota SightLine Wiper Blades. They are easy to install, provide an exact fit and finish, combine styling with all-season performance and are developed specifically for Toyota and Scion vehicles. Need New Blades? Look No Further! 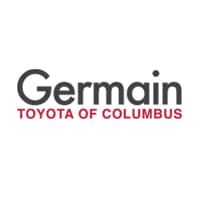 If you’re having a tough time seeing while you’re driving, then make sure you stop by your local Columbus Toyota Service Center at Germain Toyota of Columbus. We’ll gladly install Genuine Toyota SightLine Wiper Blades for you, because driving is more fun when you can see! We look forward to serving our customers from Reynoldsburg, Pickerington and Columbus.